Ruby + Swallow: ZARA: opening in Durban! After years of seeing Zara’s fabulous clothing on the internet only, or hearing about it from friends who’ve lived abroad, it is finally here!! The Spanish fashion brand Zara, and also currently the largest fashion retailer in the world, opened already in Sandton, Johannesburg last year, and is set to open in Gateway in Durban in the first week of March 2012. ARE YOU AS EXCITED AS WE ARE?! Zara, South Africa will be carrying a collection designed especially for the Southern hemisphere, which we can of course expect to be on par with other Zara stores in Australia, Brazil and Chile. The opening of Zara in our country is so exciting because of the exclusivity of the brand: they only release a limited number of each garment. Now won’t you feel so much better going out wearing your new Zara fashion pieces knowing there won’t be other girls wearing the same thing? 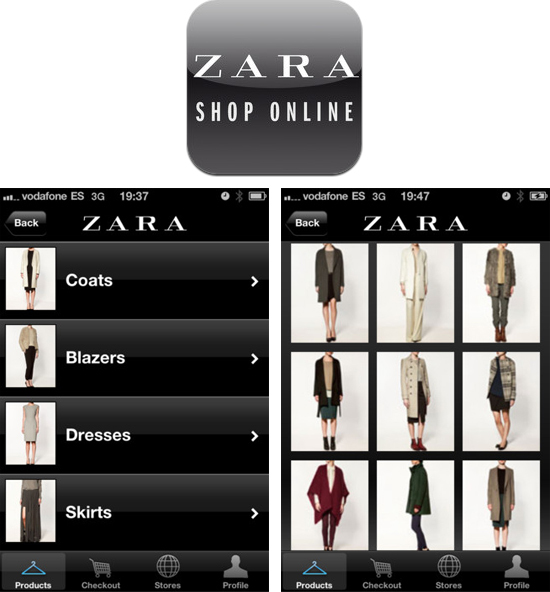 Zara has also launched it's own app for iPads and iPhones! So for all of you Apple junkies, you're going to luuurrve this! You can use it to browse all of Zara's latest collections and buy what you adore online. What is also awesome about this app is that you can do voice chats or instant messaging with your BFF while sharing pics of your faves from the collection - how cool is that? Go to this link to download it for free!